One of the Hertie School’s first graduates is on the humanitarian front lines in the Middle East. “I walked 20 kilometres yesterday and it was wonderful…even in the freezing cold,” says Rizwan Bajwa, extracting a pair of trainers from his backpack and removing his black oxfords. On a late November day, Rizwan was in Berlin to speak with students at the Hertie School on a brief sojourn from the milder climes of Damascus, where, he says, it’s unwise to stray far from the hotel where he lives and works. 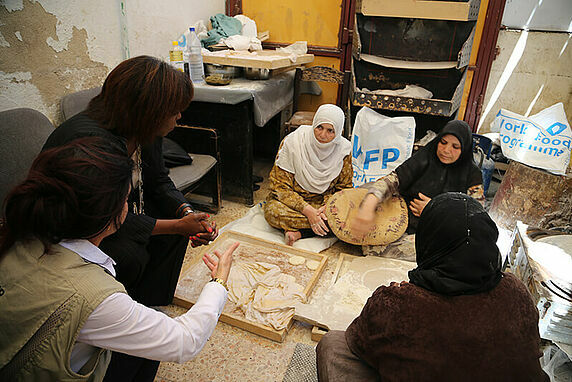 Along with a handful of colleagues from the United Nations, the Pakistani native has spent the last three years organising school feeding and education programmes for the World Food Programme (WFP) in war-torn Syria. It’s not that he doesn’t get out: part of his job is to visit towns across Syria that rely on the programmes he designs. In Aleppo, where transporting supplies became nearly impossible in late 2016, he worked with colleagues based there to organise a kitchen that relied on whatever local economy existed. The kitchen employed women, who had become the breadwinners and heads of households, to make food for schoolchildren. 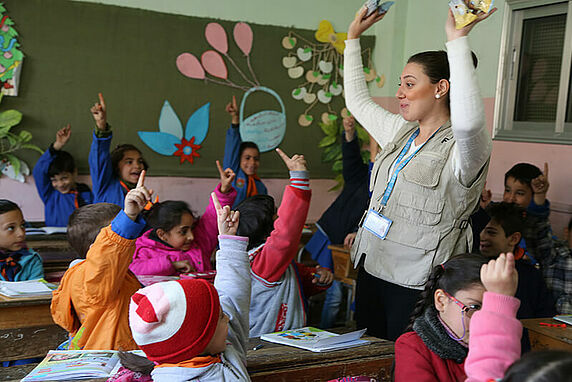 In Homs, he supported a voucher incentive project that paid families in groceries so their kids could make up school they had missed. Field work was not something Rizwan Bajwa realised he wanted to do until he found himself sitting behind a desk after graduation. In August 2010, torrential monsoon rains submerged nearly a fifth of Pakistan’s territory, putting 20 million people at risk from disease, hunger and loss of property. Rizwan supported the humanitarian airlift operation which distributed provisions to far-flung and isolated pockets of the flooded countryside in his native country. Arriving by helicopter, he was often greeted by desperate and expectant crowds of people. This meant making order out of chaos, reaching the neediest, most vulnerable citizens, and setting up a system that served people fairly, even after the helicopters had flown away. This prepped him for the next job in Syria. In developing programmes, Rizwan also helps build governance capacities at the local, provincial, and national levels. He has helped train such first responders –working with school authorities, as well as local government and NGO officials. Institutions that enable good governance are the pillar upon which these programmes are built, according to Rizwan. Registering the displaced, identifying the needy, getting help from the police and locating NGO partners are much easier when tried-and-tested structures are available. Even in Syria, this is still the case. “Having seen the worst, I still feel that it’s important to have institutions in place, even when they are market-distorting, or society-distorting,” he said. “In the humanitarian sector, you need this kind of infrastructure to get anything done. 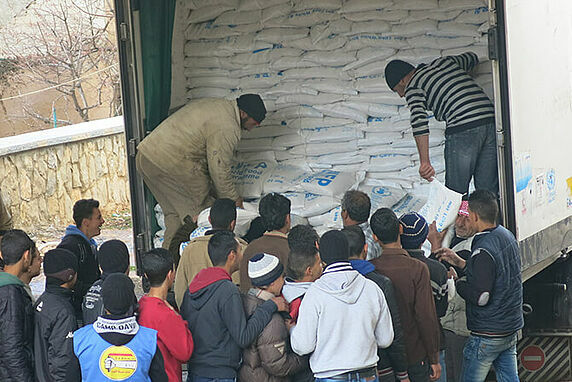 Rizwan is originally from Pakistan and has spent the last three years organising school feeding and education programmes for the World Food Programme (WFP) in Syria.